Successful Fundraising for the Academic Library: Philanthropy in Higher Education covers fundraising, a task that is often grouped into a combination role that may include, for example, the university museum or performance venue, thus diluting the opportunity for successful fundraising. Because the traditional model for higher education fundraising entails the cultivation of alumni from specific departments and colleges, the library is traditionally left out, often becoming a low-performing development area with smaller appropriations for fundraising positions. Most higher education development professionals consider the library fundraising position a stepping stone into another position with higher pay and more potential for professional advancement down the road rather than as a focus for their career. However, for universities that invest in development professionals who know how to leverage the mission of libraries to the larger alumni and friend community, the results include innovative and successful approaches to messaging that resonates with donors. 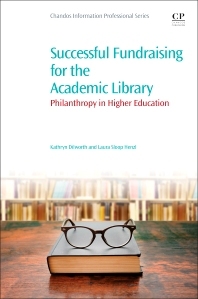 This book provides information that applies to all fundraising professionals and academic leaders looking to strengthen their programs with philanthropic support, even those beyond university libraries. Beyond current development professionals working in the library environment, this book is directed towards leadership in the fundraising divisions at universities and to academic leadership in higher education libraries including deans and department heads. 1.1 What is “The Library World”? Kathryn Dilworth is the Director of Advancement for Purdue Libraries and the University Press. She has more than 10 years of fundraising experience in libraries, healthcare, conservation, museums and other nonprofit organizations. Her library experience includes public relations and marketing for a large public library system, international marketing for a library vendor, serving as a librarian in a community college library, and leading the fundraising efforts for a major academic library. She is currently a Ph.D. student in Philanthropic Studies at the Lilly Family School of Philanthropy at Indiana University. Laura Sloop Henzl is the Director of Foundation Relations for the Purdue University College of Engineering with the Purdue Research Foundation. 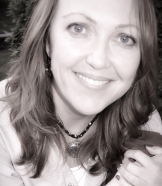 She has more than 17 years of experience in marketing, communication, and freelance writing, with more than 15 years of experience in fundraising, managing relationships with foundations, corporations, and individual donors, and event planning in higher education. Laura is currently taking classes focused on Philanthropic Studies in the University Graduate School at the Indiana University Lilly Family School of Philanthropy.